You volunteered to coach the softball team, but are you ready? How will you teach the fundamental skills, run effective practices, and harness the energy of your young team? Fear not: Survival Guide for Coaching Youth Softball has the answers. Longtime coaches Robert and Tammy Benson share their experiences and provide advice you can rely on from the first practice to the final game. Establishing realistic goals, in-game coaching tips, drills, strategies, and fun—it's all here. Develop your team's fundamental skills—fielding, catching, throwing, and hitting—with the Survival Guide's collection of the game's best youth drills. Included is a section on pitching instruction, and the ready-to-use practice plans will help you get the most out of every practice. Survival Guide for Coaching Youth Softball has everything you need for a rewarding and productive season. So step up and enjoy the experience. It will be one that you won't forget. Chapter 8. Game Time! What's My Role Again? Robert and Tammy Benson have been involved in youth sports for a number of years. They have coached together in the YMCA Coach Pitch Baseball fall league for kids ages 5 to 7. In addition, they continue to work together in coaching their oldest daughter’s competitive team, the Washington Angels 96. Robert Benson began his involvement in youth sports as an umpire for American Legion, Babe Ruth, and college baseball. He then worked as an assistant coach for a 10U girls’ recreational softball team. When his daughter was recruited by a 10U competitive team, Benson was asked to be the pitching coach and assistant. The following year he took over as head coach and renamed the team the Washington Angels 96, its current name. During his first year as head coach, the team placed first in five tournaments in the states of Washington and Idaho, took second at Washington State in the ASA 10-and-under division, and third in Class A at Western Nationals in the ASA 10-and-under division. The team’s overall record for the first year was 38-19 (.667). In 2008 the Washington Angels entered into the 12U division and were very successful as a first-year 12U A team, taking fourth at Washington State ASA. The team's overall record is an impressive 105 wins, 53 losses, and 2 ties. They have won 12 tournaments and placed in the top 3 in all but 3 of the 25-plus tournaments they have entered. Robert currently serves as the training coordinator for the Tri-Cities Girls Fastpitch Softball Association (TCGFSA). Tammy Benson has been coaching since 2004. She currently serves as the conditioning and base coach for the Washington Angels 96. Tammy has played sports all her life, including competitive basketball in high school. She now participates in coed slowpitch softball and golf, and she recently participated in a marathon relay. The Bensons reside in West Richland, Washington, and enjoy giving hitting and pitching lessons, reading, camping, and practicing archery in their spare time. "Robert and Tammy Benson have hit a home run of their own with Survival Guide for Coaching Youth Softball! 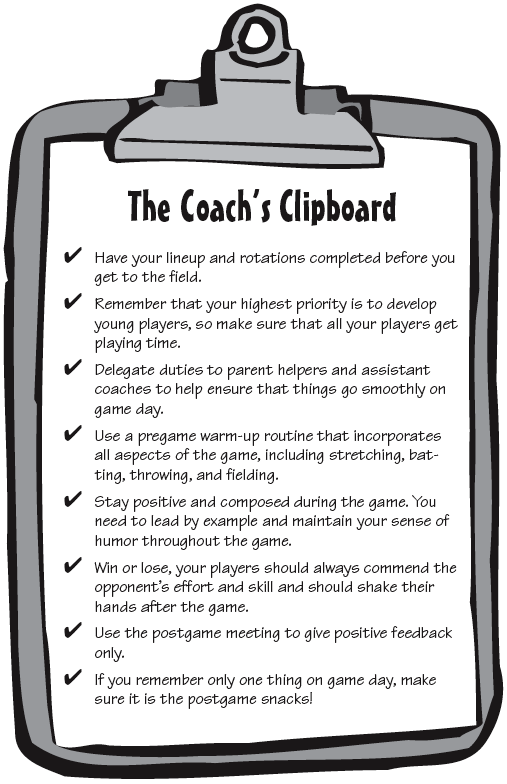 In a clear and concise format, they provide a complete guide for every current and future softball coach. Do your team a favor and read this one a couple of times!"